One of the most exciting aspects of visiting the Algarve, Portugal, is the many leisure activities this stretch of coastline has to offer. Aside from the wonderful beaches and picturesque fishing villages just waiting to be discovered, the area boasts some of Europe’s most attractive golf courses, myriad sports facilities and also a few theme parks guaranteed to keep visitors of all ages entertained. Alvor is well positioned to access some of the best in the area, with Lagos Zoo and Slide and Splash water park being particularly worth a visit. Slide and Splash is the largest water park in Portugal, covering an impressive 16,000 acres and has consistently invested in its infrastructure and facilities to ensure that it maintains its position as the best in the country. Three main rides form the centrepiece of the park, the jewels in its crown: the Kamikaze, the Black Hole and the Bonzai. As its name would suggest, the Black Hole involves taking a plunge into the unknown in the pitch dark, while the Kamikaze simply involves hurling yourself down the steepest of drops that feels pretty much vertical as you hurtle through the air. The park offers plenty of rides and chutes for the less adventurous too, with some wide runs and colourful twisting lanes to be enjoyed from the comfort of an inflatable. 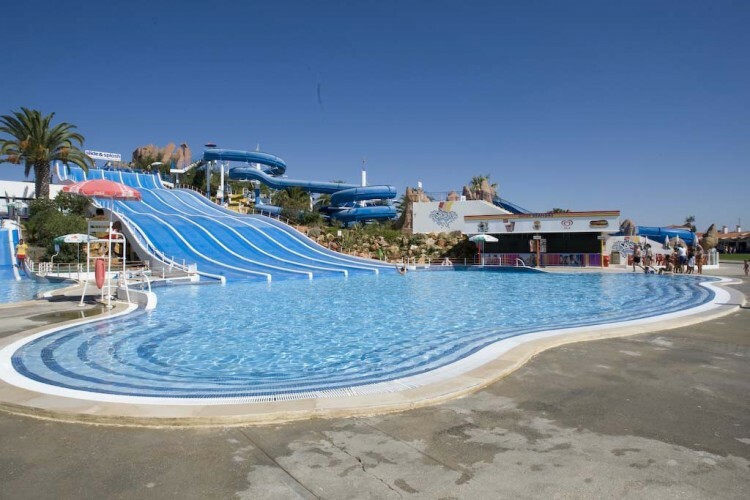 Slide and Splash water park has plenty of recreation areas, including an Olympic-sized swimming pool flanked by a Jacuzzi and 25,000m2 of relaxation area laid to lawn, with plenty of room to watch the little ones playing from the comfort of your sun lounger. The children’s area is very well thought out, with plenty of interactive games and slides to entertain them, all supervised at all times by a team of trained lifeguards. The park is well patrolled throughout and has a permanently manned first aid post on site – though hopefully you will not be needing it! 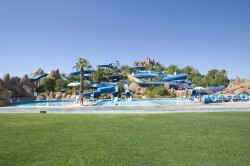 Eating and drinking at Slide and Splash water park is easy, with several restaurants and kiosks serving a range of food and drinks to suit every taste and budget. Don’t miss the ice cream parlour for a mid-afternoon snack to keep the little ones happy – and the rest of the family too. Whisk them past the on-site gift shop if you want them to save their holiday pennies, but if they are free to spend they will find plenty of fun mementos of their trip here, along with sun cream, flip flops, disposable water-resistant cameras and a whole host of other supplies in case you find you have come unprepared. 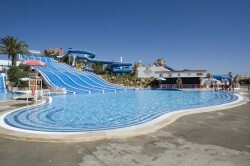 Slide and Splash is located at Lagoa, east of Lagos on the road to Albufeira, it is easily accessible by car (take the A22 coast road and leave at exit 6) with plenty of parking at the park entrance, or alternatively you can opt to take one of the many daily direct buses from Alvor Village. Lagos Zoo was established in 200 has evolved over the past decade to become home to many of species of animas and plants from the far corners of the globe. 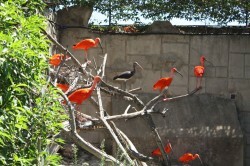 The zoo is aimed at conserving the environment and its habitats and educating its visitors on the principles of conservation. 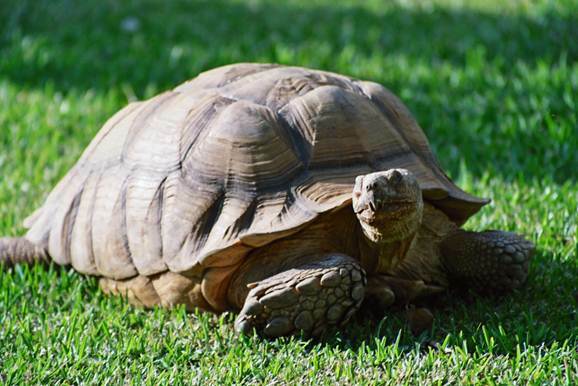 The zoo has a “small and friendly” ethos, where it is not about size or volume but more about having the opportunity to interact one-on-one with its inhabitants in order to learn more about them and their environment. 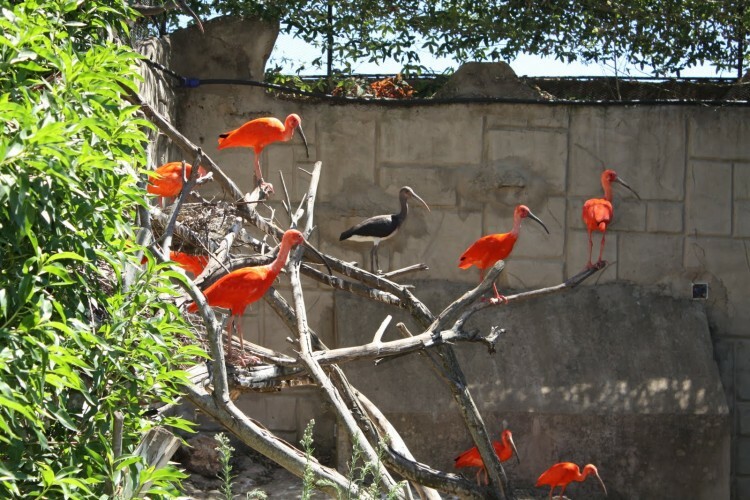 Lagos Zoo is home to some 120 animal species spanning five continents, including monkeys, giant porcupines, wallabies and many brightly coloured bird species. Some 200 botanical species are also found here, with plenty of information, illustrations and photographs of them in their natural habitats. Take note of the feeding times and other information for the different enclosures when you arrive to help you plan your day and get the most out of your trip. Lagos Zoo offers plenty of amenities including a restaurant and snack bar, sheltered areas for picnicking and a children’s playground to keep the little ones entertained. There is a petting zoo too, in which children can feed animals such as pigs and goats and get an idea first hand about what it is to care for them. Lagos Zoo is conveniently located just off the A22 coast road. 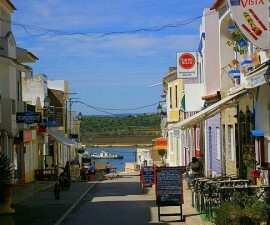 Regular bus services operate direct from Alvor daily, or if you prefer to drive, take the Sines-Aljezur exit and turn right to Barões just after Bensafrim. There is plenty of car parking at the park entrance.